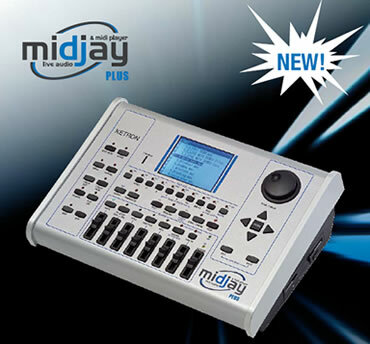 The KETRON MIDJPRO is a new state- of-the art professional player, featuring modern multimedia performances with Midi, Wav, Mp3, Mp4, Jpg, Pics, Karaoke and DVI, touch sensitive Screen, sound card with hi-quality Sounds and Multi Effects, Arranger section, Drum Grooves, Microphone& Guitar Input with pro-effects, Vocalizer, Juke Boxe, DJ ambient, HD Recording, advanced USB and SD Card facilities. 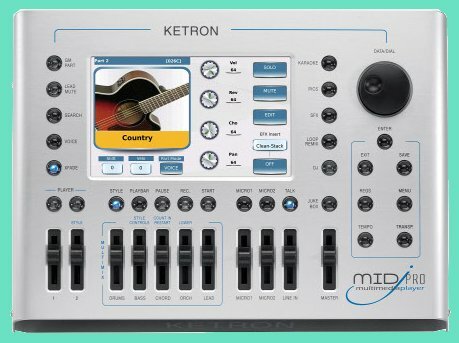 Combining all-in-one such huge potential together with an easy interface and compact dimensions, the KETRON MIDJPRO redefines the standard for the contemporary live entertainment’s players. Lcd: Tft 7”- Touch sensitive. 800 x 480 dots. Multimedia Player: Player 1-Player 2. Wav, Midi, Mp3, Mp4, Jpg,Txt, Bmp. backgrounds. File Search. Playbar. Midi Song Recording. Tempo: 40/250. Transposer: +/- 24. Mp3: Transpose, Time stretching, Voice canceller. Monitor: DVI (Karaoke Lyric – Mirror). External Storage: SD Card, HD, USB pen. Usb: 3 Host + 1 device. Menu: Disk, Language, Play Modes, Footswitch, Arabic, Midi, Dsp, Controls, Video, Regs. set up. Sound Synthesis: 12 Sound families. 288 Preset Voices. 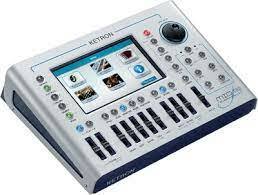 4 voice programmable. 384 Gm sounds. 50 Drum Sets. Random Drums. 64 MB Ram for additional Sound Banks.170 Drum Grooves. Special Effects (Sfx). Poliphony: 128 note. Multitimbral 32 parts. Compressor, Filter. 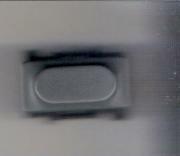 48 EFX Insert. Styles: 128 Factory. User Styles. 8 Voice Style Setting. Intro, 3 Ending, ABCD,4 Fils, 4 Break, Fill to End. Manual Bass, Bass to root, To lowest. Lower 1. Lower 2. Play Modes: Pianist, Bassist. Master, Accordion1-2, Organ 1-2. Registrations: 4 Banks x 128. Juke Box: Play List, My Folders. Pictures: Pic controls. Zoom, horizontal, vertical, rotate. HD Recording: 2 tracks stereo with overdub. Micro 1: XLR. Gain control. Vocalizer 3 voices (Voicetron). Micro Edit. Talk. Micro 2: Gain control. Micro / Guitar Input select. 32 programmable Guitar Effect set up. Optionals: Hard-Disc Kit 500 Mb. Footswitch 6 or 13. Volume Pedal. Bag. Power supply: External 12 V.
Dimensions: (W x D x H) 352 x 241 x 94 mm. AVIS aux anciens possesseurs de Charlie Lab! 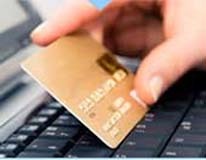 Vous serez assez décontenancés par son utilisation, sa philosophie est totalement différente, nous vous conseillerons plutôt d'acheter le Matrix One de ESS qui est beaucoup plus complet que le Midjay et quand même la suite logique conçu par les ingénieurs de l'ex. Charlie Lab.